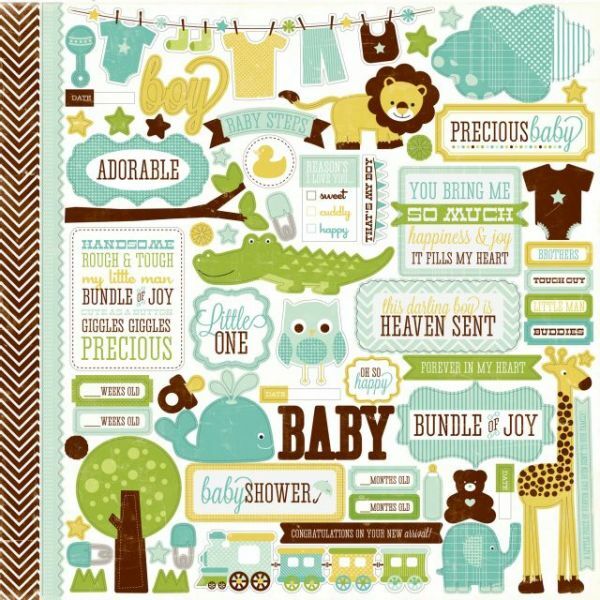 Bundle Of Joy Boy Cardstock Stickers 12"X12" - ECHO PARK PAPER-Bundle Of Joy Boy Collection: Cardstock Stickers. 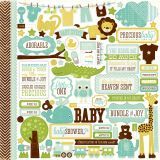 This set features fun stickers that are all about baby, from words or phrases to cute images of animals and baby items. This package contains one 12x12 inch sheet of stickers. Available in a variety of designs, each sold separately. Acid and Lignin Free. Made in USA.